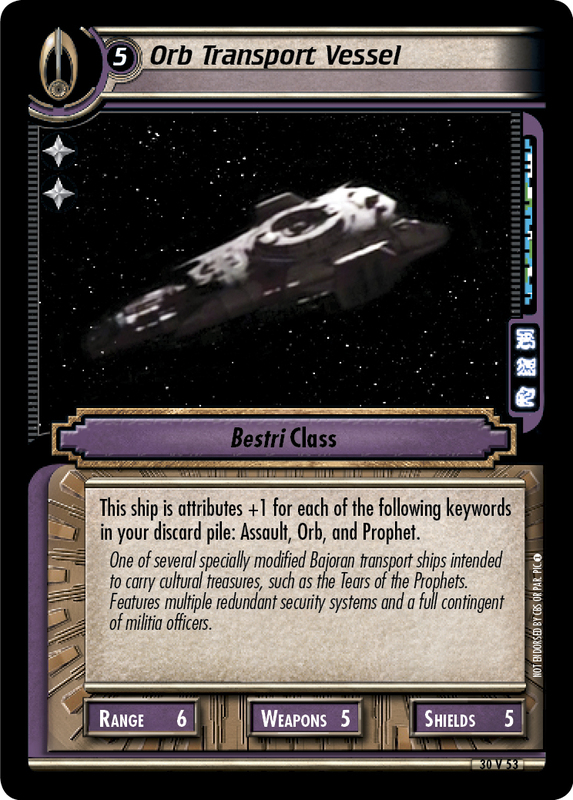 This personnel is Cunning +1 for each Maneuver event in your discard pile (limit +5). 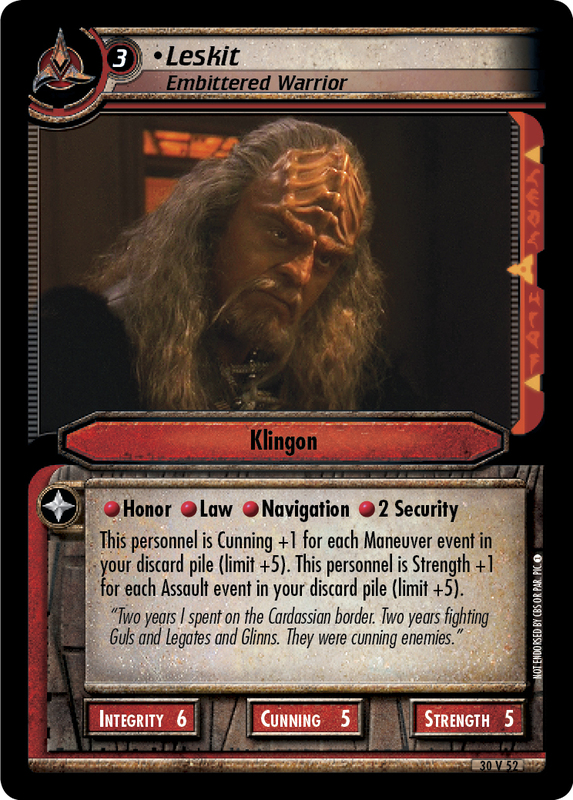 This personnel is Strength +1 for each Assault event in your discard pile (limit +5). "Two years I spent on the Cardassian border. Two years fighting Guls and Legates and Glinns. They were cunning enemies." 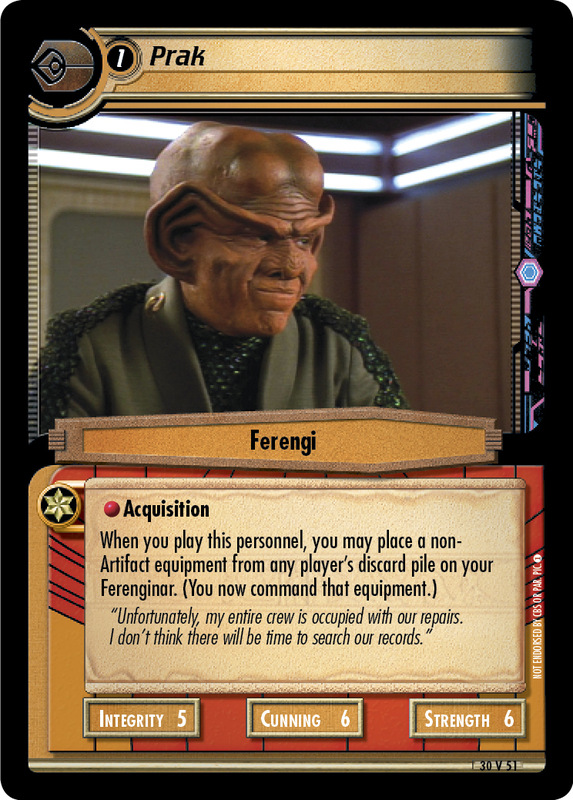 Image Source: Deep Space Nine: "Soldiers of the Empire"